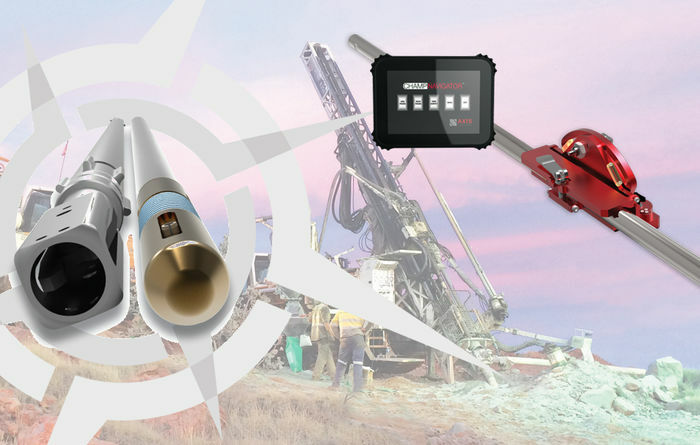 Axis is a global supplier of innovative and technically advanced drill-hole navigation and measurement technologies. Our focus is on delivering driller operated technology that transforms industry practice and improves the efficiency and financial outcomes for our client's projects. Axis’ Champ Gyro™ range incorporates our unique and robust north seeking solid-state platform, supporting accurate data acquisition whilst surveying on the overshot. This methodology was pioneered by Axis and it has changed the way drill-holes are surveyed worldwide. Axis’ proprietary onPoint™ Adaptive Roll Technology represents a step change in gyro technology and supports high-speed 200m/min continuous surveying operation.In addition, it offers unparalleled performance during horizontal pump-in and rod-pull surveys and enhanced rig alignment operation. Axis onPoint™ is incorporated into Axis’ next generation Champ Pilot, Champ Gyro SRO, Champ Navigator and Champ Navigator 2 systems offering a wider range of solutions and value to any project. All Axis’ products are capable of linking to AXIS onSite™, our innovative Data Management system providing seamless, automated and wireless transfer of survey data from the rig site to our cloud-based data management portal. Axis onsite is accessible via web interface from any device. Axis’ customer service, support, and technical expertise is provided either directly by Axis, or by our valued partners around the world and is fast becoming recognized by the industry. We are highly responsive to our customers' needs at any time and in any place.